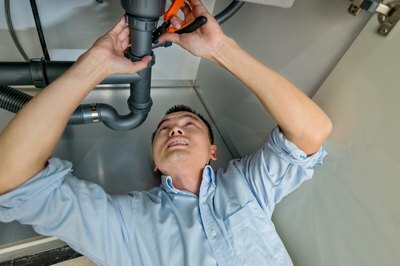 Is Plumbing Covered Under Homeowners Insurance? In most cases, as long as you don’t know that there’s a problem and the plumbing in your home suddenly springs a leak, you should be covered under homeowners' insurance. 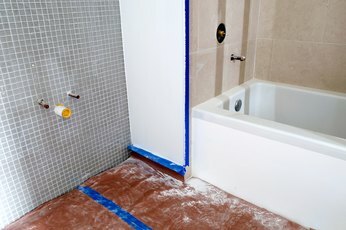 However, even though your policy may cover water damage from leaky plumbing, usually it won’t pay to repair the leak. 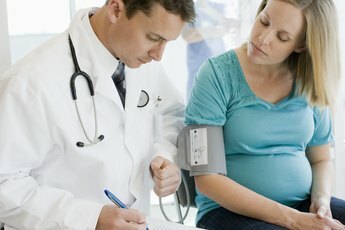 Consequently, you could find yourself paying for that cost out of your own pocket. Your homeowners' insurance will cover any water damage you may have due to plumbing issues, but it might not cover any repairs made to fix the leak that caused the damage. Unless you want to take a chance at getting reimbursed less than what you expected for water damage from leaky plumbing, be aware of what kinds of damage your homeowner's policy covers from the start. If you're worried about what your insurance doesn’t cover, give your insurance agent a call to find out what kinds of additional coverage you can add to your existing policy. For example, you can buy supplemental coverage to pay for damage to your home caused by sewer and drain backups. Most standard homeowners' insurance policies come with coverage limits and exclusions. Generally, your policy won't cover damage caused by freezing pipes that burst if your home is unoccupied at the time. Check to see whether your policy includes a maintenance clause. If it does, and you suffer damage that an easy fix would have prevented, the insurance company could reject your claim, or pay the claim, then raise your premium rate. While not all homeowners' policies will pay for damage from frozen pipes, even when you are living in the home, some will pay for the water damage, but not for a plumber to fix the broken pipe. NetQuote, an online insurance market, reports that a study conducted by Roto-Rooter shows that plumbing leaks and broken appliances cause most household water damage. More than half of the damages come from a broken pipe or leaky appliance hose. Usually, a policy will cover the water damage from a hose that leaks or bursts, but it won’t pay to repair or replace the hose or appliance. You are responsible for paying any deductible that applies. If you want to protect your home from needless water damage, taking simple steps now can prevent a big headache later. You should only operate appliances when you are at home so that if something goes wrong, you are there to shut off the water supply. In addition, check appliance hoses for wear, as regular inspections can detect problems early, when they are cheaper and easier to fix. Affordable, steel-braided hoses, available at home improvement and hardware stores, are more durable than rubber hoses and you can install them yourself. To prevent damage from frozen pipes, leave your water dripping when the outside temperature drops below 20 degrees. Drain the water from your pipes if you are going to be away during cold weather. 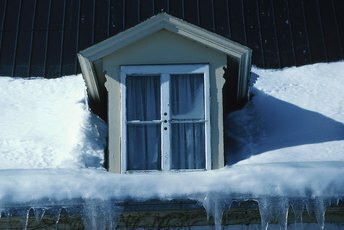 Does Insurance Cover a Roof Collapse Caused by Snow & Ice? Is a Broken Furnace Covered by Homeowners Insurance? Does the Average Homeowners Insurance Cover Black Mold?